Should U.S. Drug Makers Enter Europe Via The Netherlands (Not The UK) Post-Brexit? By March 30, 2019, the European Medicines Agency (EMA) will officially relocate its headquarters from London to Amsterdam — just one of many implications of the UK’s departure from the EU. As a result, U.S. pharmaceutical companies could begin turning to the Netherlands instead of the UK when launching new medicines in Europe post Brexit. Currently, many American pharmaceutical companies choose to establish their marketing authorization holder (MAH) — a company or organization responsible for the quality and efficacy of a medicinal product during its lifetime in the EU market — in the UK. There are numerous reasons why the UK has been the preferred entry point for American drugs. For one, it is the closest EU country to the U.S. in terms of time-zone, language, and culture. The UK has also attracted a level of pharmacovigilance talent over the years to support pharma companies that have chosen to set up their base there. In the wake of Brexit, however, many U.S. will explore alternative MAH locations, especially since the future relationship between the UK’s Medicines and healthcare Products Regulatory Agency (MHRA) and the EMA is still unclear. The Netherlands is well positioned to attract U.S. drug companies — for reasons beyond the impending arrival of the EMA. For one, it is one of the easiest countries to deal with in terms of the simplicity of the healthcare system. It is straightforward and not bureaucratic, with eight university hospitals and a very practical method for managing prices. 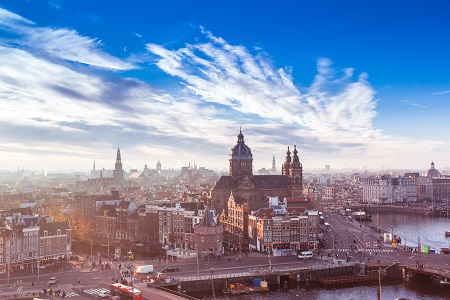 The Netherlands is a practical, stable country — already a key logistics and transport hub in Europe — and the country’s Ministry of Health, Welfare and Sport (VWS) is also open to novel reimbursement models. The relocation of the EMA — a regulatory body that currently employs almost 900 people, has a budget of €322m, and attracts 40,000 business visits annually — is also a benefit. Amsterdam was selected from among 19 countries as the new home of EMA. The city expects to gain substantial economic benefits for the country’s science sector as well as the infrastructure to support it (hotels, restaurants, transportation, etc.). What’s Next For The UK And Medicines? It remains to be seen whether the MHRA will closely align with the EMA and accept its approval process once UK representatives are no longer involved in decision-making. The UK might also wish to encourage companies to run a parallel process, whereby they can lay the regulatory groundwork required for both the EU and UK simultaneously. That could minimize potential time delays in bringing new drugs to the UK market. However, the decoupling of the UK from the EU will come at a cost to U.S. pharmaceutical firms. Europe’s regulatory pathway was already complex enough for American companies without having an extra process to follow. We could see anything from a totally separate process to a simple rubber stamping — no one knows just yet. The UK’s Business, Energy and Industrial Strategy Committee stated that duplicating regulatory activities in the UK and EU could add an additional £45,000 to the cost of bringing a new drug to market in these countries. To avoid this type of disruption, the committee issued a report calling for continued UK membership in the EMA post-Brexit. There was groundswell of support, manifesting itself in an amendment to the prime minister’s Trade Bill, part of the Brexit-related legislation moving through Parliament. Members voted 305-301 in favor of an amendment requiring the prime minister to ensure that the UK can “continue to participate in the regulatory network operated by the European Medicines Agency” after Brexit. It remains to be seen how this matter will play out in the country’s negotiations with the EU — and how it will affect U.S. pharmaceutical companies’ strategies for entering the European markets. Anna Casse, BSc, MBA, is a managing partner with consulting firm Alacrita. She has launched 13 products in oncology and rare diseases; had direct P&L responsibility for global, European and individual country businesses; and has built a successful European biotech business for a U.S.-based company from scratch. She is responsible for Alacrita AG in Zug, Switzerland. You can reach her at acasse@alacrita.com or connect with her on LinkedIn.